Will the Xbox One Ever Become the Complete Home Entertainment Hub It Aspires to Be? Once upon a time, there was a videogame console that was positioned by its creator as a "complete all-in-one games and entertainment system"--a next-generation console that could be used not only to play the latest and greatest Halo game, but also to control one's entire home theater system via voice control. That console--Microsoft's Xbox One, of course--got off to a promising start, with initial allocations selling out at many U.S. retailers when it launched in the fall of 2013. However, console launch performances can be deceiving. After all, game hardware supplies are nearly always so limited that there are rarely ever enough to satisfy initial demand--even among the relatively small number of core console gamers who are either consistently loyal to Xbox, PlayStation, or Nintendo systems or simply want to buy every new home console, regardless of which company made it. As the two-year anniversaries of the Xbox One and PlayStation 4 (PS4) near, two things have become clear. First, Sony's console is handily outselling Microsoft's globally and beating the Xbox One by a somewhat smaller but still decisive rate in the U.S. And, second, Microsoft's goal of the Xbox One becoming the dominant hub of one's entire home entertainment system has proven to be overly ambitious...at least so far. Globally, 23.8 million PS4 consoles were sold as of August 3, according to website VGChartz. That is far ahead of the Xbox One's 13.1 million and the Wii U's 10 million. The most recent global PS4 hardware numbers provided by Sony were more than 20.2 million sold through to consumers as of March 1 and 25.3 million shipped to retailers through June. In stark contrast, the most recent global Wii U hardware sales number provided by Nintendo was 10.01 million as of June 30. In recent months, Microsoft hasn't announced global sales numbers. None of the three companies said how many units of each system had sold to date in the U.S. alone, but an industry source said in March that about 7.2 million PS4s were sold in the U.S. through February, ahead of the Xbox One's 6.6 million. Sony's global dominance in the current console cycle can be attributed to a few factors. An obvious one is Microsoft's continued console weakness in Japan, but a more significant factor is likely Microsoft's initial decision to bundle the enhanced version of its Kinect motion sensor with each Xbox One sold, which caused pricing of its console to be significantly higher than the PS4 out of the gate. Several months after launch, Microsoft finally decided to introduce a version of the Xbox One without Kinect, allowing the entry-level price of the console to decline considerably. By that time, however, the PS4 had already built a decent lead against the Xbox One. Pricing is one of the major reasons for the PS4's strong showing so far compared with the Xbox One, said Wedbush Securities analyst Michael Pachter. "If you recall, after a disastrous start, PS3 caught up with Xbox 360 last cycle, and both finished with around 80 million consoles sold" around the world. This cycle, he said, the Wii U has proven to be a "disaster" that's projected to sell 80 million fewer units than the first Wii, which was the top-selling console in the last cycle. The casual gamer, meanwhile, is more inclined to buy a PS4 than an Xbox One, he said. "Add to that the fact that Sony priced the PS4 at $400 instead of the $600 price point for PS3, that Sony has tremendous third-party support...and that Sony has a more established brand in Europe, and it's not surprising that PS4 is ahead" in the current cycle. Unfortunately, unbundling Kinect from the Xbox One made it much more difficult for Microsoft to market the console as an all-in-one entertainment system that could control a user's entire home entertainment system. It was, however, already questionable just how many Xbox One owners with Kinect were even using their consoles to control their home entertainment systems. Microsoft didn't provide any usage data. 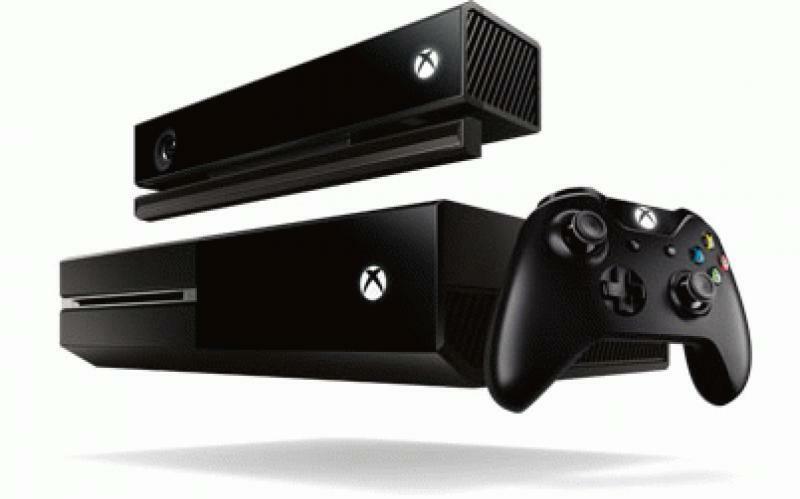 However, Pachter doubts that more than 10 percent of Kinect owners use the sensor for applications other than gaming. "The voice and gesture controls [of Kinect] sound great, but they don't work as a practical matter," said Pachter by email. "We're all comfortable with a touchscreen remote, and adding voice commands is actually more complicated. Adding gesture commands is even more complicated. Kinect was a great idea, but smartphones and tablets that integrate with the TV made it obsolete." Microsoft's initial strategy for the Xbox One was a "complete flop, and it fell apart long before they unbundled" Kinect from the console, said David Cole, CEO of game research company DFC Intelligence. "Customers just flat out rejected it because it was too expensive and the PS4 provided a better gaming experience at a lower price," he said. "Demand for a $500 device that can control your home entertainment system is fairly small," said Cole. Xbox One sales only "picked up" when Microsoft "unbundled the Kinect," he said. Nearly all consumers buying an Xbox One now are buying it without Kinect, he said--adding that, although "we have not seen any research into how many people are using the device to control their home entertainment system via Kinect, we know it is fairly small because most Xbox Ones do not have Kinect." Cole also questioned how easy it is to set up an Xbox One to control one's home entertainment system. "We tried and gave up, and I really think it is something you need to be pretty sophisticated to do." I personally don't know how sophisticated I am. Ask my wife, and I guess she would say "not much" after finally controlling her laughter. Still, I managed to set up an Xbox One (won in a raffle at a GameStop launch event) to control the home entertainment system in my living room back in 2013. It wasn't the easiest setup process I've ever experienced. I confronted a few challenges at the time while trying to get the Xbox One to control my Panasonic plasma TV, Scientific Atlanta cable box, and Denon receiver. The console didn't automatically recognize the TV model; however, once I selected said TV model from a list that popped up, it worked. The weirdest part of the setup process was trying to get the console to allow TV surround sound--that's because Microsoft decided to include that function only as a "beta" option for cable and satellite set-top boxes under the settings at launch. Finally, I wasn't able to turn the Xbox One on and off by simple voice prompts of "Xbox On" and "Xbox Turn Off" until I received a tip from a Microsoft spokeswoman on how to select that capability in the setup menu. One lingering issue I experienced was the inability of the Kinect sensor to understand certain channel names by voice prompting. I was also slightly concerned that the Xbox One was eating up more power than I would have liked because it always had to be kept on--whether in standby mode or not--to be ready to control all the devices to which it was connected. Still, I kept the console in charge of my entertainment system for about a year. I left it that way despite the fact that there were many times that the console would not turn on after I said "Xbox On." It had become a joke around my house. Each time I tried to speak the command and it failed, I would be mocked by my wife and kids, who had become fed up with Kinect long before I did. Eventually, however, I decided to disconnect the console from the rest of my devices because audio was inexplicably being lost about once or twice a month. I came close to trading in my DVR cable box for a newer model from Cablevision, thinking the cable box was the problem. However, I decided (because I didn't want to lose all the programs I had recorded on the cable box) to instead try disconnecting the Xbox One from my cable box and just leave it connected to my receiver like I would any game console. It's been a few months since I made that connection change, and I haven't lost audio once since. Obviously, it was the Xbox One that was the problem, not the cable box. I can't say I miss the Xbox One controlling my entire home entertainment system. Microsoft and Sony Computer Entertainment America (SCEA) didn't provide any movie and TV-show streaming usage data for their consoles. SCEA spokeswoman Karen Auby only provided data for the PlayStation Music with Spotify app, telling us there were almost five million downloads as of May. Likewise, there was a lack of significant non-gaming Xbox One news from Microsoft in June at the annual E3 game show in Los Angeles. However, Microsoft stressed non-gaming entertainment for the Xbox One at the annual Gamescom event in Cologne, Germany, in early August. Still, Microsoft wants Xbox One users to "enjoy the smoothest TV experience alongside" their gaming on the console, whether they're using on-demand apps (like HBO Go, Netflix, Comedy Central, and Hulu Plus), streaming live TV apps (like Verizon FiOS TV), streaming live Internet TV (Dish Network's Sling TV), or watching live TV through their cable or satellite box, a Microsoft spokeswoman told us. One potential appeal to cord cutters is the recent release of the Hauppauge Digital TV Tuner for Xbox One, which shipped in May and brings over-the-air TV to Xbox One users in the U.S. and Canada. It provides access to broadcast networks including CBS, Fox, NBC, and PBS with no subscription cost, the Microsoft spokeswoman said. When paired with apps like Dish Network's Sling TV, users can get all of that over-the-top service's networks, including premium channels like ESPN, TNT, Disney Channel, and Adult Swim live via the Xbox One. She didn't provide any sales data for the tuner, which is being sold by Microsoft bundled with a Mohu Leaf 50 TV antenna at $99.99 or by itself at $59.99. Microsoft has gone even further since the TV tuner launch, announcing August 4 at Gamescom that Xbox One owners will also be able to use the console as a DVR to record live TV starting in 2016 by hooking the console up to an external hard drive. There will be no subscription fee for the service, the company said. The recorded programs can either be viewed on a TV connected to the console or streamed from the Xbox One to other devices using either the Xbox app on Windows 10 or through the Xbox SmartGlass app for Android and iOS. The programs can also be downloaded to those other devices, said Microsoft. To take advantage of the DVR functionality, however, Xbox One users will also need the Xbox One digital TV tuner and antenna, as well as a dedicated external hard drive to access the DVR for over-the-air TV and store content, the spokeswoman said. A 500-GB or larger external hard drive is recommended. On Sony's side, the company launched PlayStation Vue, a cloud-based over-the-top TV service for the PS4 and PS3, on March 18 in Chicago, New York, and Philadelphia. The service starts at $49.99 a month and allows users to view live and on-demand TV programs from a limited number of networks that includes AMC, CBS, Discover, Fox, NBC, and several Turner and Viacom networks. For $10 extra, users can access regional sports networks, including the Yankees Entertainment and Sports Network in New York. For $69.99, more than 25 lifestyle, music, and family channels are added to the mix. Los Angeles and San Francisco were added in June, and more markets will follow later this year, SCEA said in June. Showtime was added in July at $10.99 a month or $8.99 for members of Sony's premium subscription service PlayStation Plus that costs $49.99 a year. SCEA didn't say how many consumers have signed up for PlayStation Vue so far, telling us only that 75 percent of PlayStation Vue subscribers were 18 to 34 years old and daily average viewership was exceeding five hours--more than one hour greater than the daily TV viewership average for 18 to 34 year olds nationwide. Still, Wedbush's Pachter doesn't think that any of the PS4 and Xbox One TV features will amount to much when it comes to consumers deciding which console they should buy, he said. "DVR functionality is pretty easy to do, so nothing earth-shattering there," he said. Meanwhile, there's "lots of choices out there" when it comes to over-the-top TV services, he said. The Vue service is "problematic," said DFC's Cole. "There are many free or low cost services compared to Vue," he said, pointing to Netflix, HBO Go and HBO Now, Hulu, and Amazon Prime as a few examples. In comparison, Vue is "expensive and somewhat limited," he said. There is, meanwhile, another issue that could have more impact on which console consumers will buy. The lack of out-of-the-box backwards compatibility on the PS4 could hurt it in the months to come--unless Sony changes its mind and decides to add the ability for consumers to play games from older PlayStation systems on the console. Although the core gamers who tend to buy a new game console early on don't care enough about the lack of backwards compatibility to prevent them from making a purchase, the same can't always be said for more casual gamers. Microsoft announced at E3 that it was adding free backwards compatibility to the Xbox One starting this fall, although 21 pre-Xbox One games were already made available to Xbox One users who are members of Microsoft's preview program and already own those titles. More than 100 older titles will be available this holiday season on the Xbox One, and "hundreds more" will be added in the months to follow, said Microsoft. In June, active global Xbox Live members on the Xbox One and Xbox 360 combined were up 22 percent from June 2014, said the Microsoft spokeswoman. Since releasing Xbox One backwards compatibility in preview June 15, "participants in the preview program have logged more than 30 million minutes playing Xbox 360 games on Xbox One," she said. At least some older PlayStation games can be played now on the PS4--but only by paying to stream them through the PlayStation Now service. It remains to be seen how much, if at all, this will hurt the PS4 and help the Xbox One in the months to come. For now, though, Sony's PS4 remains comfortably in the driver's seat in terms of global sales during this console cycle. It is, however, much too soon to declare a winner for this console cycle here in the United States: it will likely be the console that manages to attract the most exclusive games that aren't available on the rival system, but time will tell if the Xbox One's recent changes and additions can lure in more customers who are looking for that ever-elusive all-in-one home entertainment hub. • Does Google Have the Power to Take Control of Your Whole Home? at HomeTheaterReview.com. • Pros and Cons of Today's Top Streaming Media Players at HomeTheaterReview.com. • Amazon Fire TV Debuts Gaming at HomeTheaterReview.com.